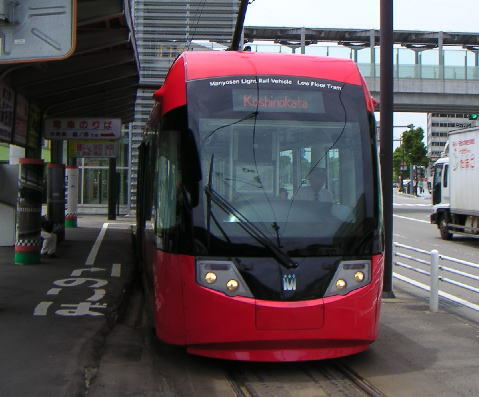 This modern LRV was installed in 2004. 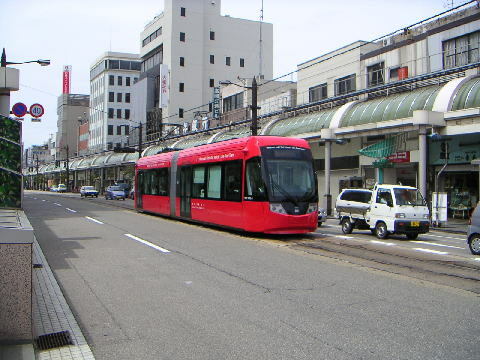 Here I'll show you Manyosen one of three Toyama light rail line. This line had been in danger long time because of low traffic and deteoriated tracks. But recently it changes its feature drastically. 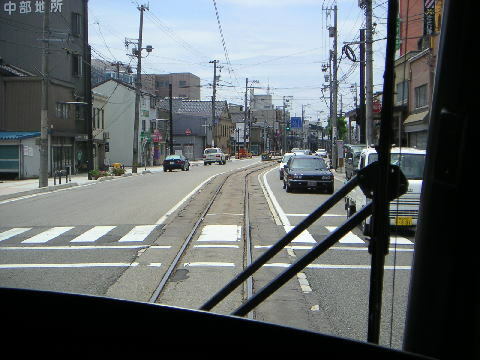 Manyosen is a toraditional style trolley line in Japan. 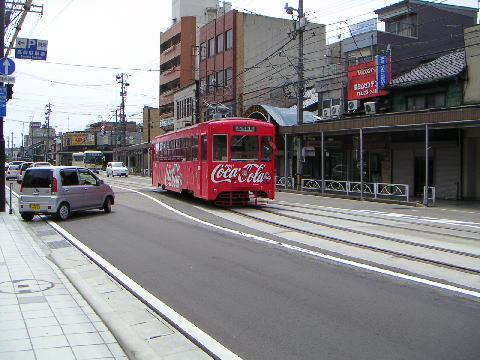 It is not only a city trolley line in Takaoka and Shinminato city but also interurban trolley line between these two cities. 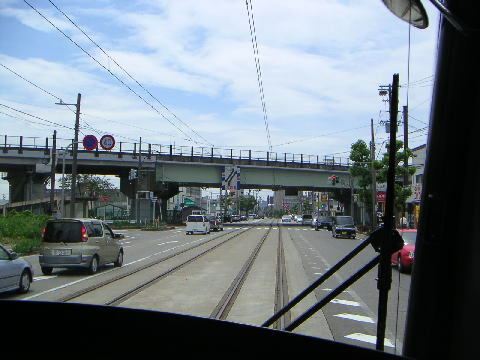 This line once connect Toyama city by former Imizu Line(Toyama Regional Railway). Toyama and Shinminato opend before second world war.Takaoka to Shinminato opend two decades after. 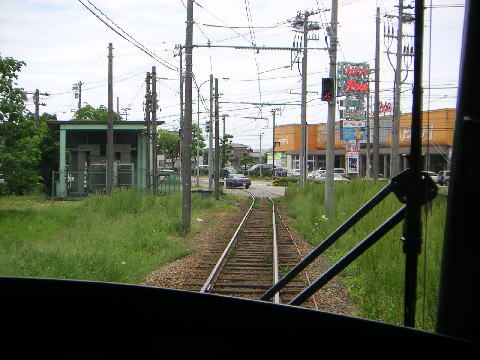 Toyama-Shin Minato line was main line but in 1966, because of construction Shinminato Port, part of this line was dropped into the sea and Koshinokata-Takaoka became main line. 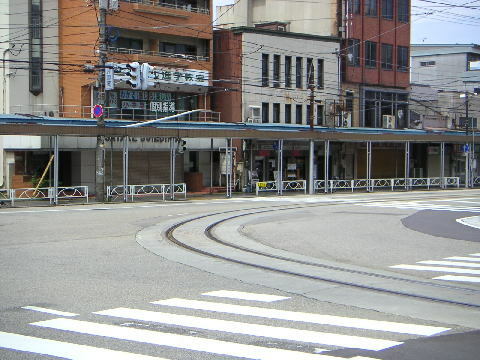 Remainder line in the Toyama side abandanded in 1980. 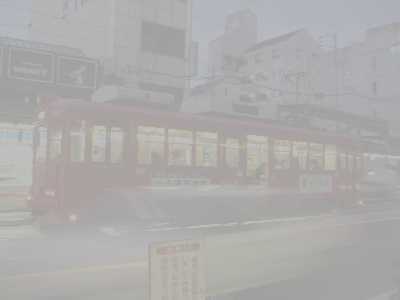 This line is a kind of rural trolley, speed is very slow and population around lines are not big. 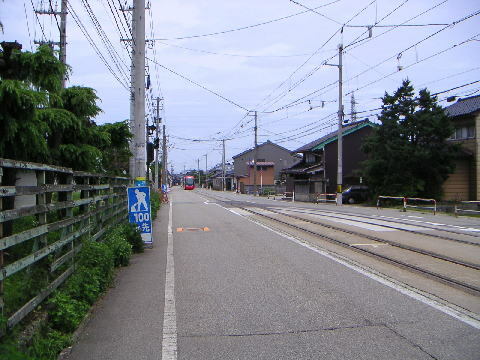 Because of decline in traffic Kaetsuno Railway proposed abandand this line in 2001. City of Takaoka and Shinminato created Manyosen Company, semipublic corporation. Manyosen company took over Kaetusno's property. 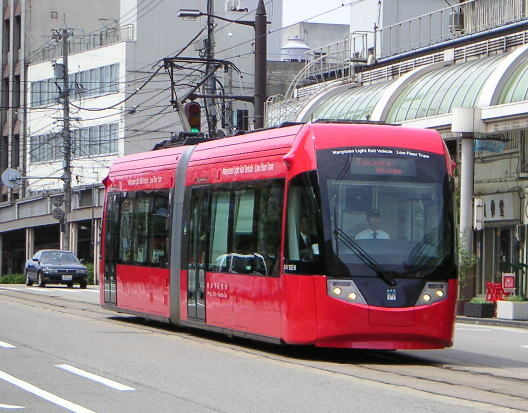 In 2004 Manyosen company bought two new LRV's. Its a europian style stepless car. Although heavy construction to ajust these new veacles long time, these car become leading character of this line. It constructed by Nigata Transis Co. and Window and Tracks built by BOMBARDIER TRANSPORTATION. Most of line was single track. Track around here is bad condition. 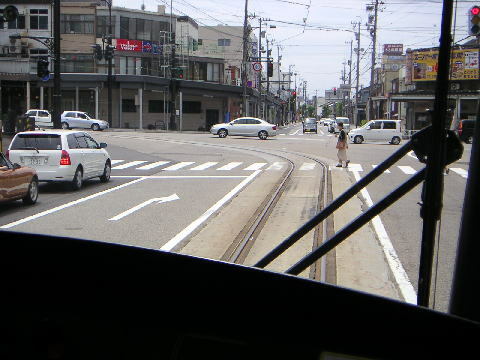 Traditional style streetcar on reconstructed track. New LRV in downtown. Track aroud here is also deteoriated. Note shuttered stores. Those store gave up their business. Many building and stores in downtown are vacant because of suburbanization. There are so many wide road at suburban area. There are many cars and few people get on the train around here. Most of house and office in Takaoka might be automobile oriented, I think. This line has private right of way section. It is near Suburban Area(3). 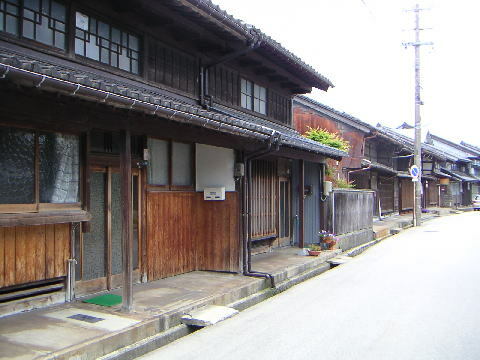 Traditional style houses are preserved around here. June 3, 2006 First edition.